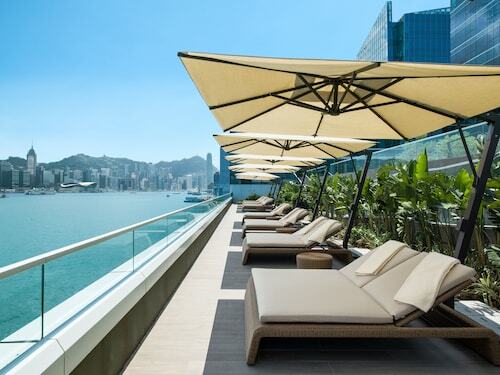 Save cash by purchasing a Kowloon travel package. Just pick your favorite options and let Expedia do the rest. Would you like to save up to 40,450 YEN*? Buy a package deal on Expedia today! Our comprehensive global database allows you to search more than 321,000 properties worldwide and 400 partner airlines. With such a great range of options, planning your dream vacation will be a piece of cake! Itinerary need filling up? Kowloon vacation all organized but no idea what to expect when you arrive? Let us make it easy. This suburb won't disappoint when it comes to terrific attractions. The Kowloonbay International Trade and Exhibition Centre and EMAX Shopping Mall are a few sights that are just a walk away. If you're bored of indoor dining, pick up some takeout and enjoy lunch in the open air at Kowloon Walled City Park. There's a wonderful range of things to do in this destination. Shampoo, conditioner and body wash are a few of the items you need while on vacation. But — if you forget your toiletries, you should find what you need at MegaBox Shopping Mall. Still got time on your hands? Escape the noise of town for a morning, grab a takeaway coffee and find a cool, grassy spot at Ko Shan Road Park. If you want a bit of exercise, pack a soccer ball too! You don't have to stay in luxurious hotels or fly business class to have a great vacation. Simply dive into all the extraordinary things you can do while you're there! For a complete list of options, go to our Kowloon things to do page. There's nothing nicer than knowing your accommodations are all set for your cheap vacation or luxury getaway. You'll discover 7 properties in Kowloon. Book right now via Expedia and let the adventures begin! Not sure where to stay? Don't stress, we've got you covered! 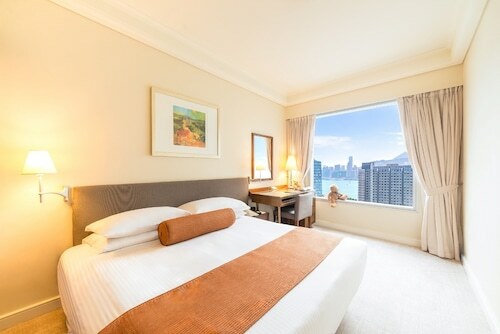 Take a look at the Regal Oriental Hotel - Hong Kong (30 - 38 Sa Po Road) and the pentahotel Hong Kong, Kowloon (19 Luk Hop Street). Trying to discover how to commute from Shenzhen International Airport (SZX) to Kowloon? After you've collected your bags, you'll be around 35 miles (56 km) northwest of the main streets. A pavement salute to the big names of Hong Kong’s movie industry is also a good spot to see the island’s nightly laser light show. A green oasis in Hong Kong’s urban jungle, this replica of a classical Chinese garden has waterfalls, ornamental ponds, waterside pavilions and ancient trees. Away from the bustling streets beneath the iconic Hong Kong skyline, find this lush natural area devoted to ecological conservation. If your trip to Hong Kong is a dream come true, visit Wong Tai Sin Temple for even more wish fulfillment. The holy site promises you will get what you wish for. Art lovers will enjoy one of the world’s best collections of Chinese antiquities, art and other treasures, as well as works by contemporary local artists. See Hong Kong’s Hollywood-style Avenue of Stars, then wait around until sundown to see the skyline light up from one of the best vantage points in town. 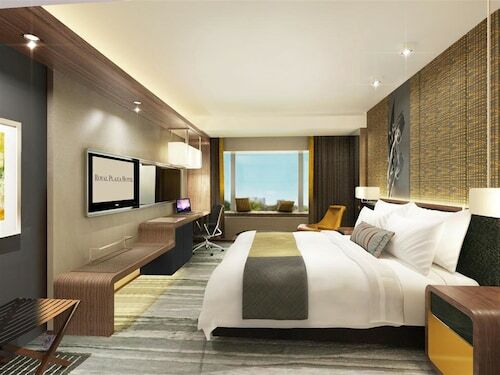 Located in the city centre, this contemporary business hotel is in the Golden Mile shopping district, close to the Hong Kong Cultural Centre, and directly connected to Tsim Sha Tsui MTR Station. 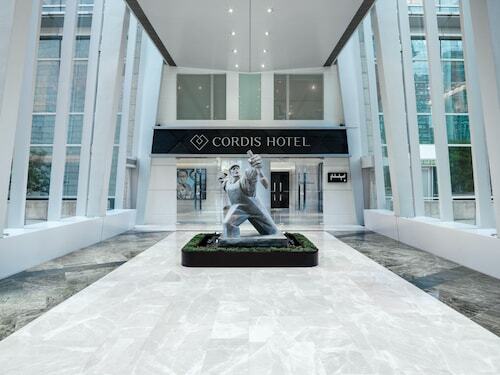 Located on the Victoria Harbour waterfront, this hotel is just a few steps from the MTR Whampoa Station (Exit D2). 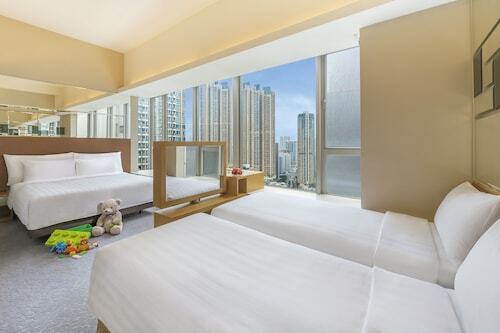 Major attractions such as Temple Street at Jordan and Ladies’ Market at Mong Kok are just three stops away. The hotel's complimentary shuttle bus will take you to downtown Tsimshatsui in approximately 8 minutes. The hotel is situated next to Hunghom Ferry Pier with quick access to North Point.